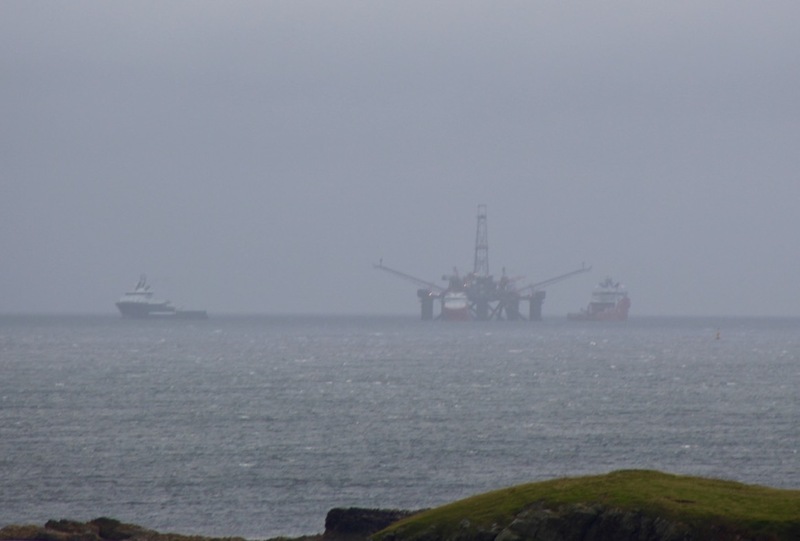 The Buchan Alpha platform arriving in Shetland last year for disposal. Ten projects which could generate more than 600 jobs through increased productivity and economic growth have been identified by Shetland Islands Council (SIC) ahead of negotiations with government on securing an islands deal. The list, which covers areas from digital connectivity and housing to industrial developments and decommissioning facilities, would require investment of around £200 million from public and private sources. SIC chief executive Maggie Sandison said the details could be altered and reduced over time as talks with the Scottish and UK governments progress. The first islands bill was given royal assent last week to become an act of the Scottish Parliament and the law should pave the way for further devolution of powers to Scotland’s three island councils, as well as “island proofing” existing and future policies. The focus now is on securing an islands deal which would aim to boost the economies in Shetland, Orkney and the Western Isles. It would take inspiration from city region deals, which are “designed to bring out long-term strategic approaches to improving regional economies”. Sandison said the aim of an islands deal would be to address demographic challenges, such as population decline and ageing, which threaten Shetland’s long-term economic and social sustainability. “The deal is a vehicle for capital investment into the islands infrastructure to enable the growth of existing and new economic sectors which would be transformational for the island economy and move us on to a path towards long-term sustainability and prosperity,” she said. “Working with our public and private sector partners we have identified a list of 10 projects in Shetland requiring £200million total investment from public and private sources which we believe can generate in excess of 600 jobs through increased productivity and enhanced economic growth. A survey of Shetland’s employment carried out last year showed that the number of full-time equivalent jobs in the isles had decreased by nearly 5%t since 2011. In 2017 a 10-year plan was devised through the Shetland Partnership Board as a way to boost the isles’ economy. It set a target of 700 new private sector jobs being created in Shetland by 2028.